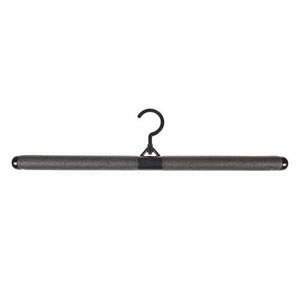 5 Large Bendy Hangers Foam Covered - Ideal for hanging & / or drying knitwear. Ideal for hanging & / or drying knitwear. Bend the hanger into a U shape to put inside the neck of the sweater without stretching it & then bend the hanger back to the required shape for the sweater. If you have shallow wardrobes & standard size hangers are just to wide then you will find the the Bendy Hangers are the answer. Just bend them to get the width you need. 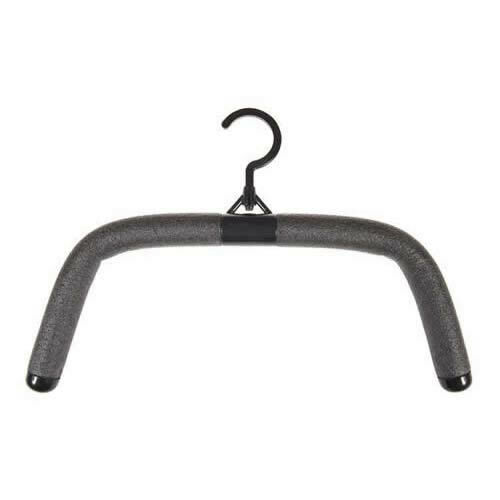 These hangers are fantastic for Childrens Clothes as you can change the shape to accommodate many styles & sizes of garments. 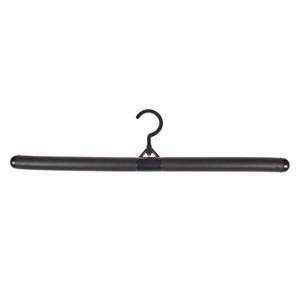 We have the Childs Bendy Hangers available with the Rubber Coating. The hangers should last for years as you can bend them to fit your childrens clothes as they move up through the sizes. Bend it to fit into your suitcase. We have two types of finishes on the Bendy Hangers - either Foam covered or Rubber Coated. They both have rotating hooks. 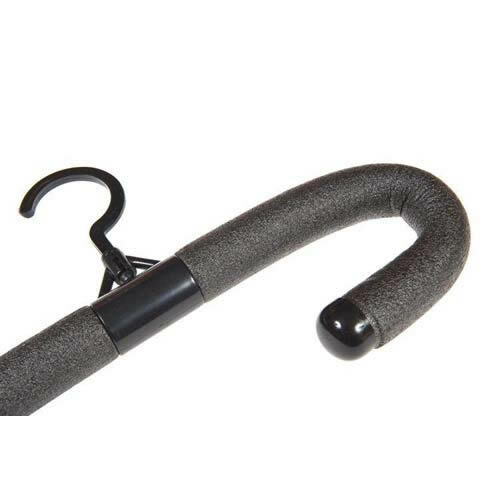 Step one: The Bendy Hanger comes in two sizes: Large is 20.5" and small is 18" end to end. Select the appropriate size. Step two: Bend the hanger so that the ends fit into the neck of the garment. Step three: Insert the Bendy Hanger into the garment. Step four: Open out the Bendy Hanger until you find the perfect shoulder shape. 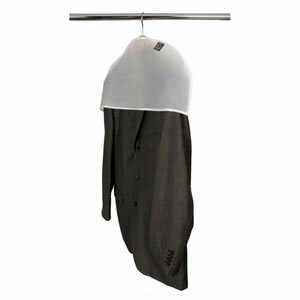 The Bendy Hanger will not mis-shape, it is very sturdy and padded and makes the perfect hanger for drip drying.